Nov. 27, 2017 – Harris County Department of Education was awarded the Association of School Business Officials International Meritorious Budget Award for excellence in budget presentation. The award promotes and recognizes excellence in school budget presentation. It is awarded to school districts whose budgets have undergone a rigorous review by financial professionals. “HCDE has applied for and gained this award for nine consecutive years as a part of our commitment for fiscal responsibility to Harris County taxpayers,” said Jesus Amezcua, HCDE’s assistant superintendent of Business Services. In applying for the award, school business officials gain budget presentation practices and enhance their skills in developing and presenting a school system budget. 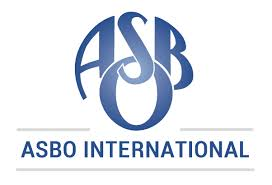 HCDE Business Services submitted the 2017-2018 budget to a rigorous team review based on stringent criteria, according to ASBO International Executive Director John Musso. “The Meritorious Budget Award program helps applicants create an accessible, accurate budget that builds trust with their community,” Musso said.